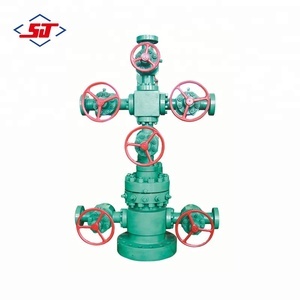 Xtree is a key equipment to control the pressure in wellhead and adjust the flow rate of Pressure in oil/gas production operation. 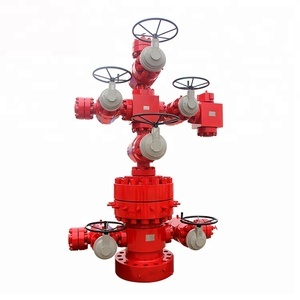 &middot;It can be designed into general or integral structure as required; &middot;It can be completed with pneumatic/hydraulic safety valve; &middot;It can be classified into two kinds of single-wing and dual-wing. 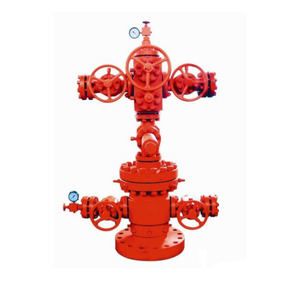 It can be designed into general or integral structure as required; It can be completed with pneumatic/hydraulic safety valve; It can be classified into two kinds of single-wing and dual-wing. 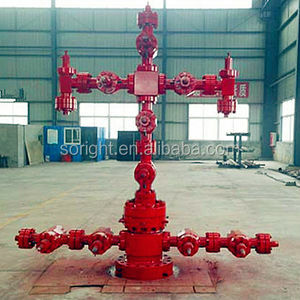 Professional wellhead and christmas tree for oil drilling with low price wellhead and christmas tree for oil drilling Attribute Product information Name: Professional wellhead and christmas tree for oil drilling with low price API 6A Wellhead and Christmas tree: An assembly of valves, spools, pressure gauges and chokes fitted to the wellhead of a completed well to control production. Christmas trees are available in a wide range of sizes and configurations, such as low- or high-pressure capacity and single- or multiple-completion capacity. Our Christmas Tree range from 2" to 7" , pressure ratings are 2000PSI,3000PSl,5000PSD, 10000PSD and 15000PSD and also can be available upon customer request. 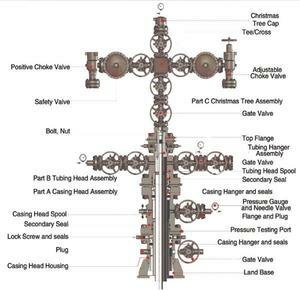 Christmas tree for Oil & Gas The wellhead device and the Oil tree, From design,production,manufacturing,testing,quality control, all are conform to the latest version of API6A requirement, and get the certificate of American Petroleum Institute API Spec6a and the right to use the logo. The main pressure product parts are made by forging or special smelting casting production with the low alloy steel (stainless steel), strong pressure bearing ability. 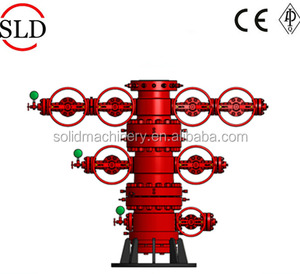 Our company has variety Oil tree to satisfy with kinds of wellhead device and casting program needs, we also could design and manufacture according to the different demand of customers. API Conventional Sucker Rod 2 . Special Structure Sucker Rod 3 . Hot-spray Coated Corrosion-proof Sucker Rod 7 . Traveling Blocks Hooks: It is consists of traveling block and hook, they are connected together with two pins. Sea Shippiing Container loaded on board, travel across the sea to the port of destination. Remarks: The number of containers required for the traveling block hook shipment depends on the model. 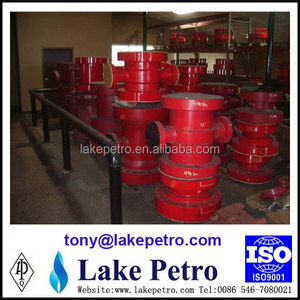 Product Details Company Profile Introduction: Restructured from SINOPEC in 1997, Puyang Zhongshi Group Co. , Ltd has 18 years manufacturing experience of petroleum machinery products till now, we have competitive prices of our main products of casing accessories like bow spring centralizer, solid rigid centralizer,float equipment, cementing plug etc. 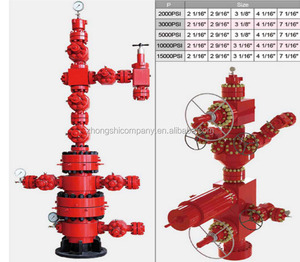 We have 9 factories, more than 500 employees, and many kinds of production equipments. Eternal company specializes on the manufacturing all sizes and pressure ratings used for oilfield applications. We can also design customizable ideal spools for reliable and consistent performance on their production system. we can give you really quality products with best price,we have a better understanding of Chinese market, with us your moeny will be safe. ,Limited had explored the international market and enlarged international cooperation 12 years . and get good reputation from our oversea clients . 2.Can you produce products with my own brand9 Yes,we can offer OEM services.